Discover relevant works by tracing relationships among citations. if you find an article, book, report or paper that is important to your research, you can use its reference list to locate other items of interest. Later publications that cite that key work may also be relevant to your research. This is also true of published works that share many sources in common. Cited reference searching is the process of discovering such useful works by tracing relationships among them. 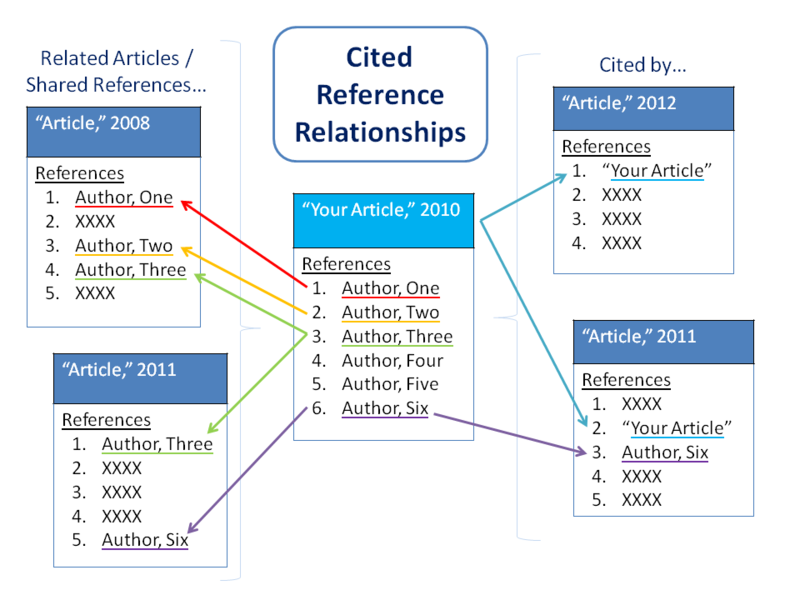 Cited reference searching can help with understanding scholarly discussions that may take place over a period of years, identifying core contributors through their impact on the work of others, and offering insight into the evolution of a given area of academic inquiry. If you would like further assistance with cited reference searching, please contact a Librarian.